Clarendon Flavors’ Louisville operation is part office, part chemistry lab. The two story space includes an executive office suite, production facilities, lab space, and two employee break rooms. 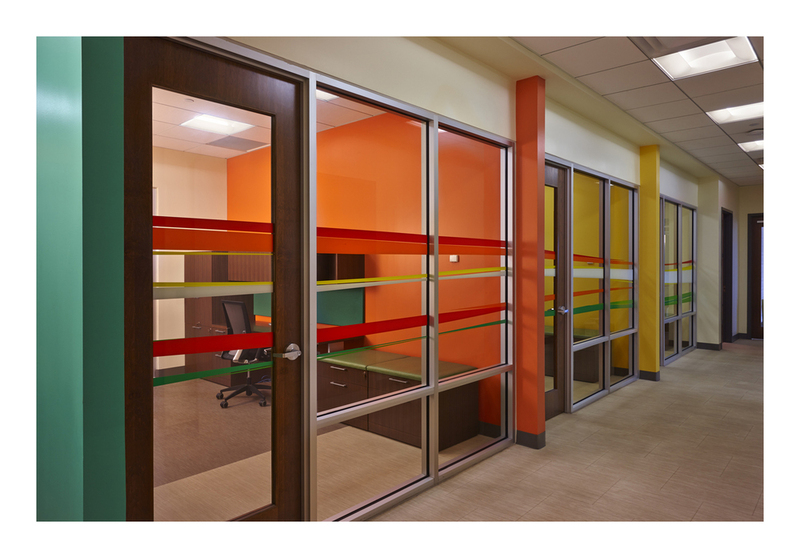 A vibrant color palette on the first floor reflects the company’s spirited approach to beverage flavorings. On the second floor, vibrancy gives way to sophisticated neutrals with pops of color for the executive offices. A custom marble desk was designed for the CEO of the company.